‘Melancholy Death of a Gamekeeper’ was the rather sad headline which appeared in Welsh local newspaper, the Monmouthshire Merlin, in the late 1800s. This article told the sorry tale of the sudden and mysterious unexplained death of Thomas Prosser, the great-great grandfather of multi-instrumentalist Robin Armstrong. 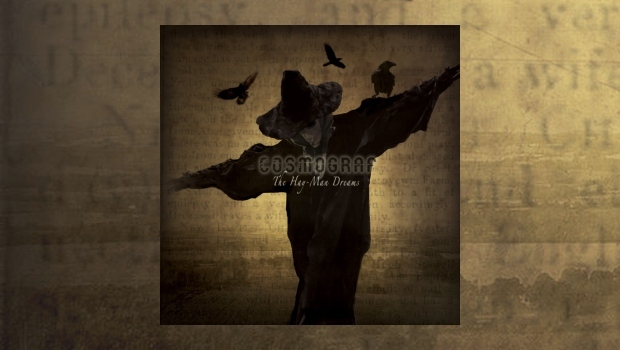 Armstrong drew inspiration from this family history for his latest Cosmograf project, and considered using that headline as the title of the album before choosing the more expansive The Hay-Man Dreams. The article did make it into the album, as the name of a suitably sad and mournfully sung piece with subtle piano and at times bluesy guitar. As such it encapsulates the rather different and fascinating approach and theme taken on this album, as we delve into a more grounded and simple rural world, suffused with dream-like melancholia. 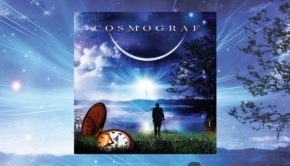 But where does this album stand in the context of previous Cosmograf releases? We are a long way from the science fiction but very human tale of The Man Left In Space or the cinematic concept of alien abduction (or mental breakdown?) documented in The Unreasonable Silence. There is an element of the after-life in The Hay-Man Dreams, but not with the same Gothic grandeur of the ghost story and spiritualism inspired Capacitor. It is perhaps the outstanding and more personal When Age Has Done It’s Duty from 2011, inspired by his mother’s side of the family and Armstrong’s experience of dementia, which can most closely trace its musical and lyrical DNA down to The Hay-Man Dreams. 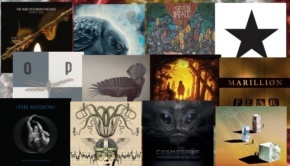 This latest album, stemming from Armstrong’s father’s side of the family, is steeped in a sense of the countryside and family, conveyed in the classic rock sounds of guitar, drums and bass, interlaced with skillful and atmospheric keyboards. The rich timbre of Robin Armstrong’s voice goes from strength to strength on this song and album. Trouble In The Forest commences with delicate acoustic guitar, highlighted with subtle ambient effects from Matt Stevens of The Fierce and the Dead. This is a restrained and atmospheric song, featuring some particularly lithe bass work, imagining a conversation between the spirit of the dead man and his son in which he extols the virtues of hard work. Matt Stevens pours a tasteful and delicate electric guitar solo over this piece, but Armstrong wisely maintains the restraint which actually heightens the emotions, resisting the temptation to expand the song more dramatically. The Motorway is a standout track, with echoes of Jethro Tull in its tuneful and delicately picked acoustic guitar intro. This evocative song brings to mind dreamy journeys down motorways through the countryside with the wind rippling the fields, presumably evoking the far away dreams of an ancient scarecrow within sight of the highway. There is a great synthesis of the rural folksiness associated with the acoustic guitar in contrast with the crunching electric guitar riffs of the cars, reminiscent of Armstrong’s much loved Deep Purple and Black Sabbath. Rachael Hawnt, who featured so memorably on The Unreasonable Silence, returns to add some full throated and powerful backing vocals. Eventually Robin takes flight with a great guitar solo. This song and the whole album is clearly steeped in the classic vintage sounds of the ’70s with Les Paul guitars and Hammond organs, but there is no sense of imitation or clichéd derivatives – there is too much imagination and skill in the compositions. In contrast, the haunting Cut The Corn, with its gentle piano intro, has more than an echo of later era Marillion’s Steve Hogarth in Armstrong’s beautifully sung and emotional delivery. It’s bucolic and stately progress is punctuated with a delicate, almost Spanish guitar passage, and like Trouble In The Forest the artist reins back to strangely give the song more emotional impact. 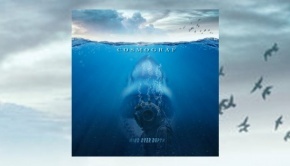 The final multi-faceted song, Hay-Man, is probably the one most closely resembling the more expansive and cinematic songs of recent Cosmograf albums. The wonderful voice of Rachael Hawnt takes on the lead vocal to great effect whilst Armstrong initially intertwines a lovely flowing and languid guitar solo. The song goes through various stages and styles with subtle blues licks over Hammond organ rising to a crunching heavy rock crescendo and a stunning coruscating guitar solo against Kyle Fenton’s powerful drumming… and then when you think it’s all over, Big Big Train’s Rachel Hall lays down some wonderful violin mixed with birdsong and gradually diminishing finely judged bass and drums. The final song… and presumably the spirit in the Scarecrow gradually fades away in a deeply resonant way as Robin’s mournful voice finally evokes the spirit of his tragic ancestor. 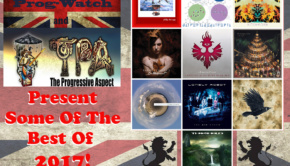 Robin Armstrong has done it once again – he’s produced one of the Progressive Rock albums of the year… but in a completely different style. This only goes to underline his skill and quality as a musician and writer, continuing to define him as one of the best Progressive Rock artists of this generation. However, be aware that whilst his last few albums have been akin to widescreen pieces of musical cinema with immediate and spectacular effects, his latest work is much more evocative of a finely written musical novel with more emotional resonance and subtlety, revealing more and more with every reading or listening.